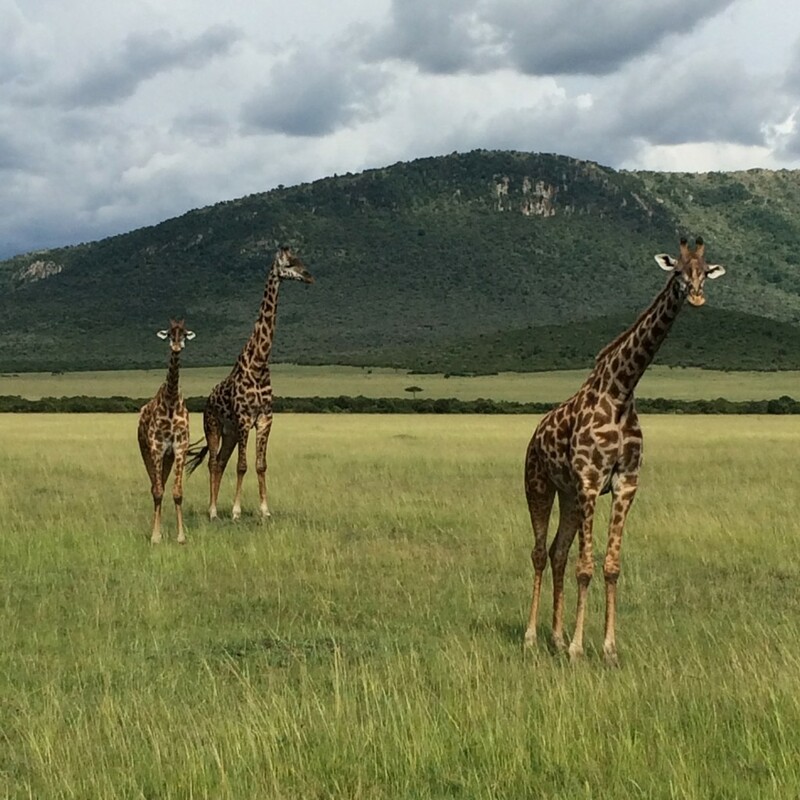 The Masai Mara in Kenya is one of the worlds greatest places to go on safari. The lush plains are home to millions of animals and provide for a beautiful setting for photos. 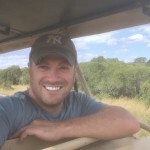 On my recent trip to Kenya, after staying at the Fairmont Mount Kenya Safari Club, I was fortunate to stay at the Fairmont Mara Safari Club; which is a tented camp in the middle of the Masai Mara. 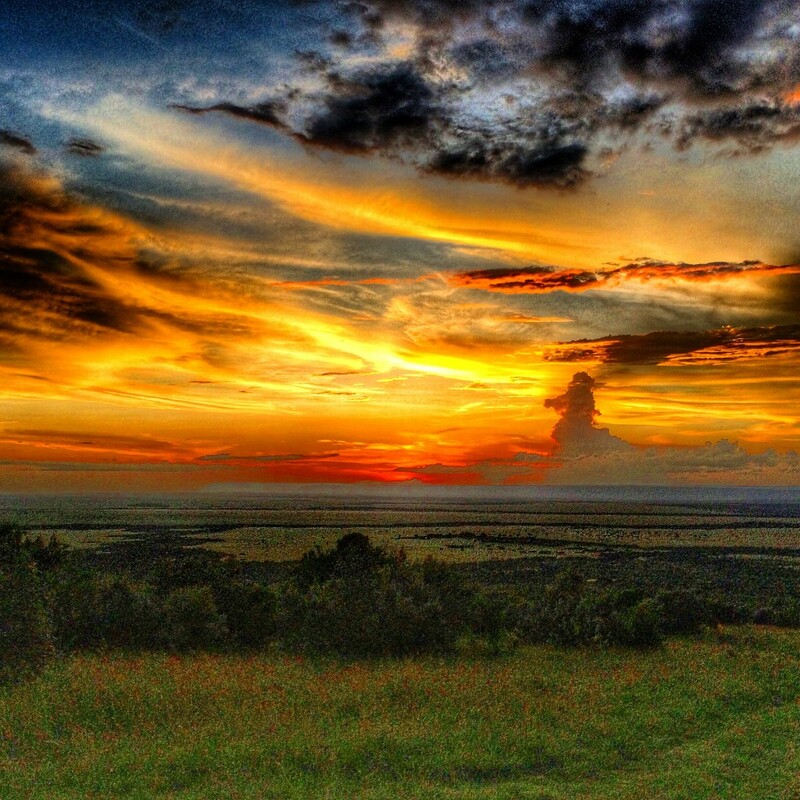 The Masai Mara is unforgettable. You can reach the Masai Mara either by driving from Nairobi about 3 hours or so or you can fly to small remote landing strips throughout the Mara (as the locals call it). I flew from Nanyuki via Meru; which is also an option if you’re touring around the country a bit. 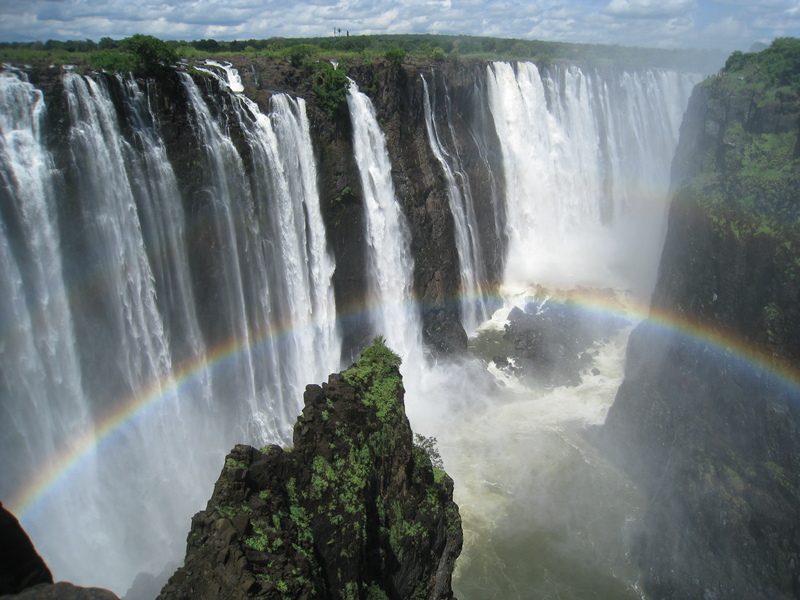 Africa has several great national parks for going on safari. 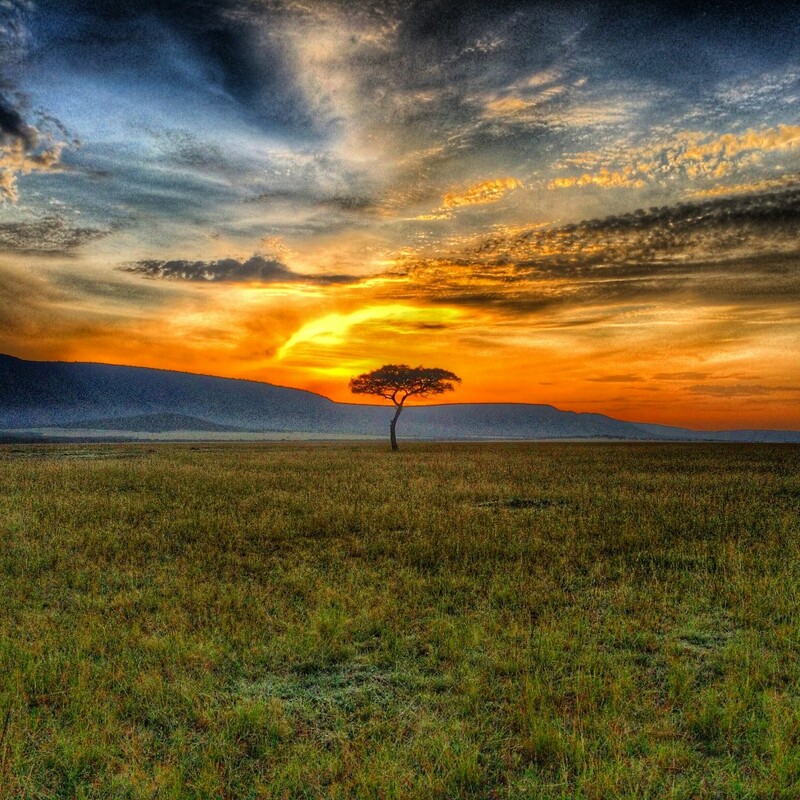 Amongst the best is the Masai Mara, which is a smaller extension of the massive Serengeti in neighboring Tanzania. Also, Ngorongoro Crater; which is also in Tanzania. 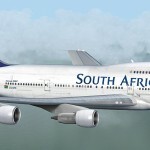 Kruger Park in South Africa and several great parks in Botswana including Chobe National Park in the beautiful African four corners region. These are the places you want to go. 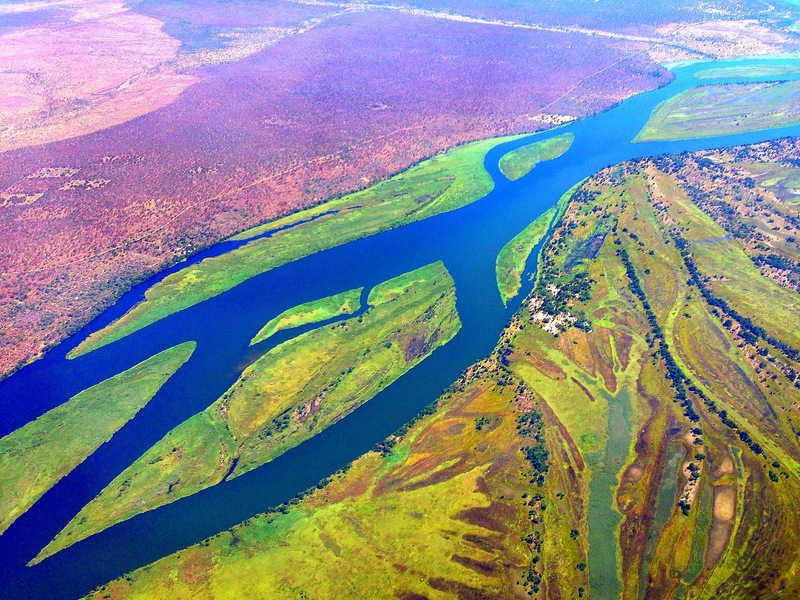 The best thing about going on safari these days is that you can actually stay in the bush. Luxury tented camps and lodges are sprouting up all over and are amongst the best places to stay in the world. 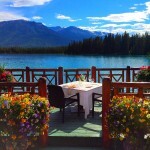 Literally, these lodges win all the awards for best hotels in the world each year. 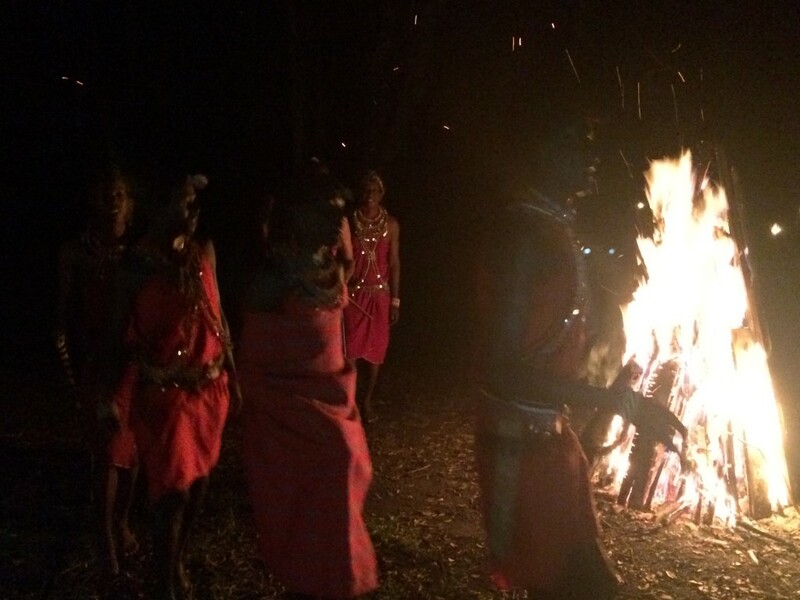 The Fairmont Mara Safari Club actually set us up with a barbecue bush dinner; which was pretty amazing especially with a Masai Warrior dance by firelight. It was a truly memorable experience! 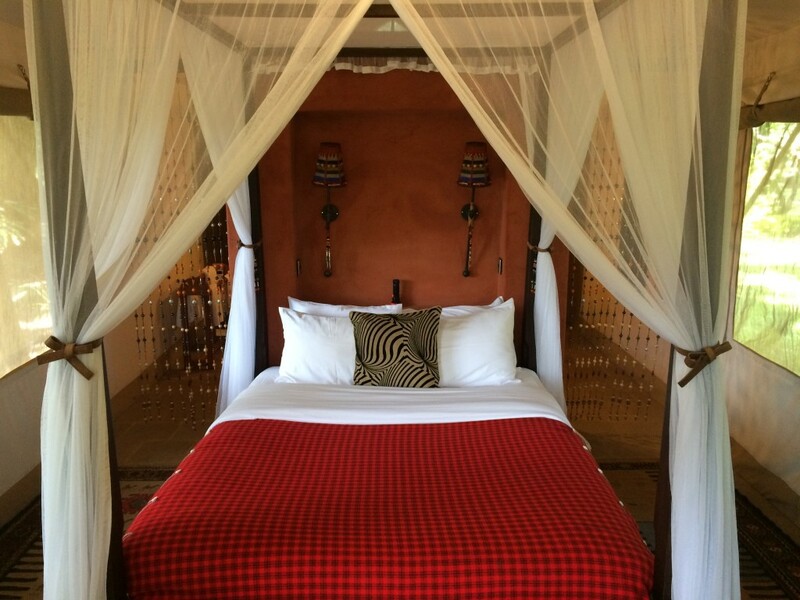 The Fairmont Mara Safari Club is a lovely property with 51 tents and a main lodge. 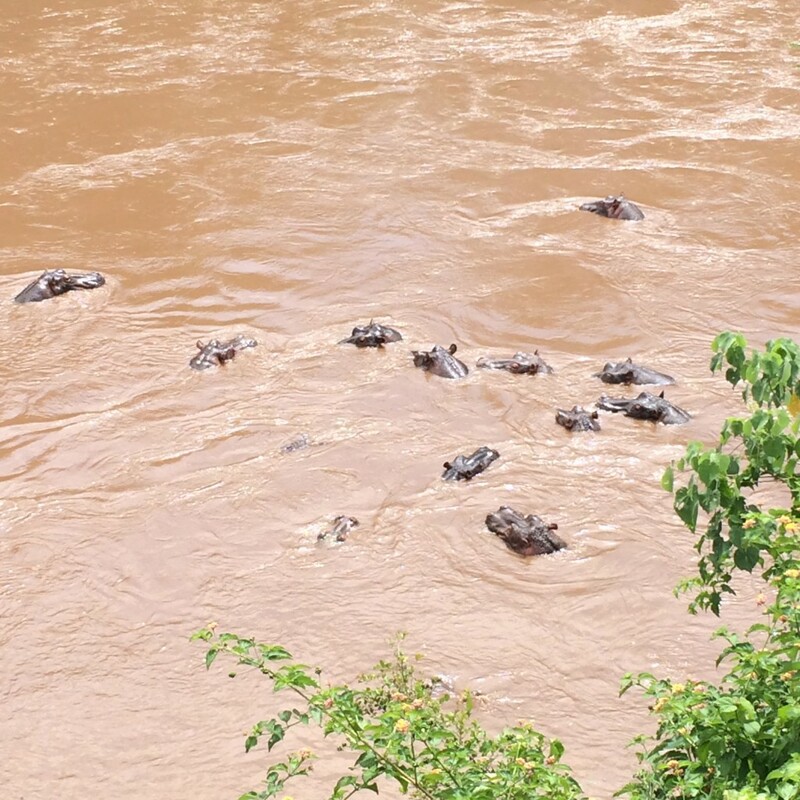 Its location right on the river inside the Masai Mara means there’s literally hippos right below your tent at all times. Hippos make a lot of noises! The tents themselves are pretty nice as you can see with a large bed and bathroom facilities. What’s also cool is that it really is a tent so you can hear all the nature noises going on all night. Some people might feel nervous but I think it’s wonderful. 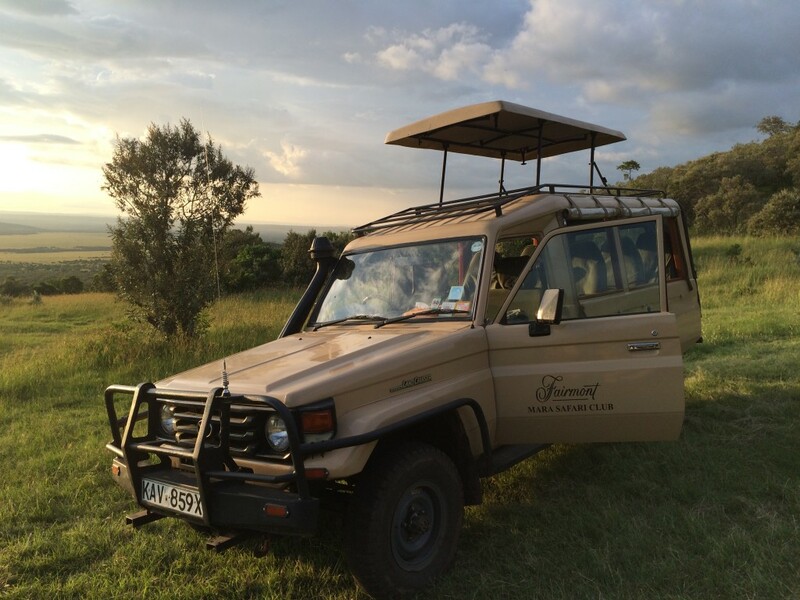 From the Fairmont Mara Safari Club we did both afternoon/sunset and morning game drives. This way you get multiple opportunities to see the animals and also you get to see the Masai Mara at different lights, temperatures and vistas. Sunset cocktails are a staple of late afternoon game drives. This is one of my favorite things to do in the world. The safari guide/driver will set up a small table with cocktails and appetizers where you can watch the sunset in a glorious location. It’s always a little awkward because you’re in the bush and theoretically animals could come to where you are. 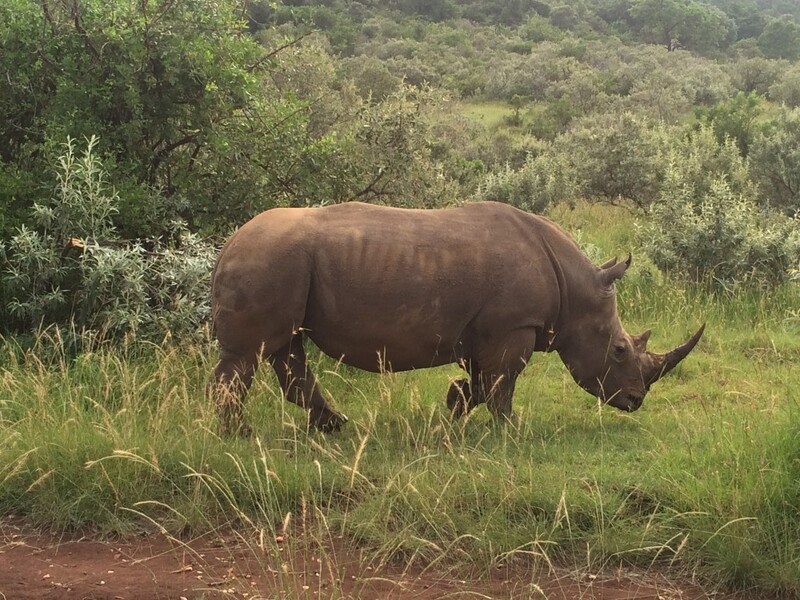 I’ve never had that happen in some 50 game drives I’ve done around the continent but it’s always in the back of your mind; which adds to the experience in my mind! The Masai Mara is part of the great wildebeest migration and depending when you go you can a lot of animals or you can see millions of animals-literally. The lush plains and watering holes are stunning and driving through it is like driving through an animal kingdom. I can never get enough of going on safari. No matter how many times I’ve done it, I never get tired of seeing these magnificent creatures in their natural environment. 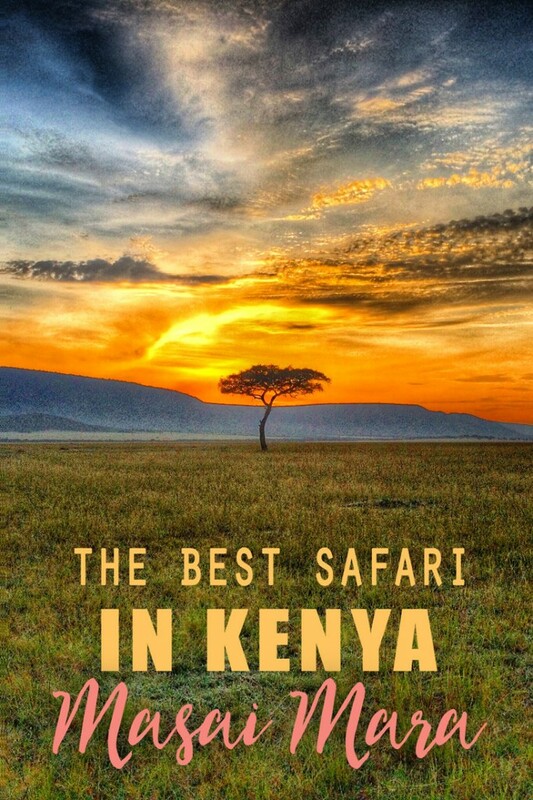 If you’re planning on doing an African safari, and I hope everyone does at some point, I recommend going in a few different parks if you can swing it. But definitely include the Masai Mara in your itinerary, as it’s one of the most beautiful of all the great parks of Africa. Disclaimer: My stay at the Fairmont Mare Safari Lodge is part of an ongoing campaign I have going with Fairmont Hotels and Resorts. I receive financial compensation and was fully hosted for this trip. However, I have written everything here, all opinions expressed are mine and have not been influenced in any way-as always. This is definitely a bucket list trip for me. Amazing photos Lee. Thanks Arnold, hope you go soon! I’vw also stayed at the Fairmont Mara and Mt. Kenya and it was easily one of the way trips of my life. I love being surrounded by nature and being woken up by animals in the middle of the night. It’s a little nerve racking at first but then it feels natural like it’s supposed to. Paula, I totally agree! I love it though and you know they can’t get in your tent but the close noises are odd! Which did you like better Lee? 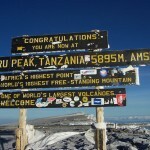 The Mount Kenya or the Mara safari club? An impossible question! Both are awesome! That picture of the lone tree is magical. Thanks, I love that shot! 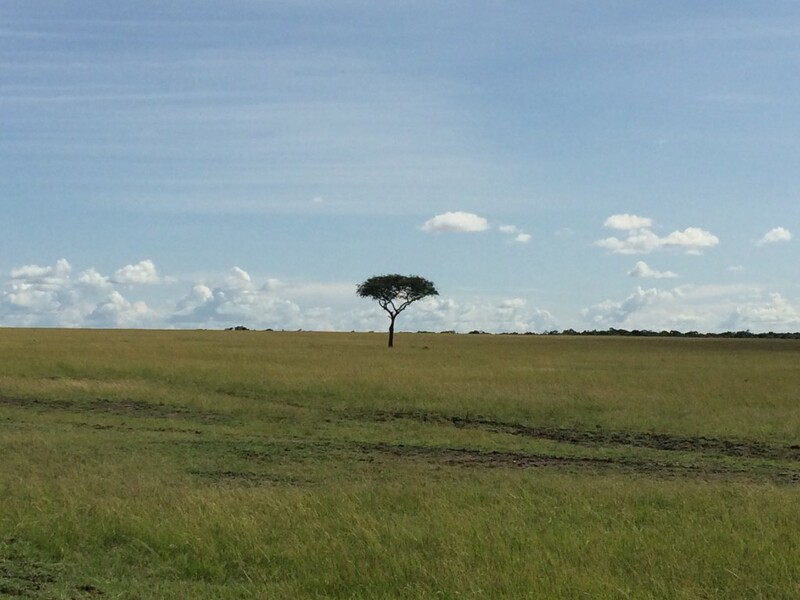 I love the African plains and savannah…amazing landscapes! The sunset cocktails on African safaris are amazing. Always amazes me how the animals now to stay away but just how peaceful it really is in the jungle. Just make sure I\’m out of there when the sun is gone! Tom, they are the best although you’re always peeking around to make sure no lions are sneaking in! 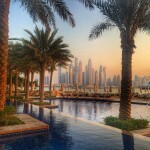 What an amazing place to visit! Hope to travel here one day 🙂 Great post, Lee! And I am in love with that shot of the tree with the sunset behind it! 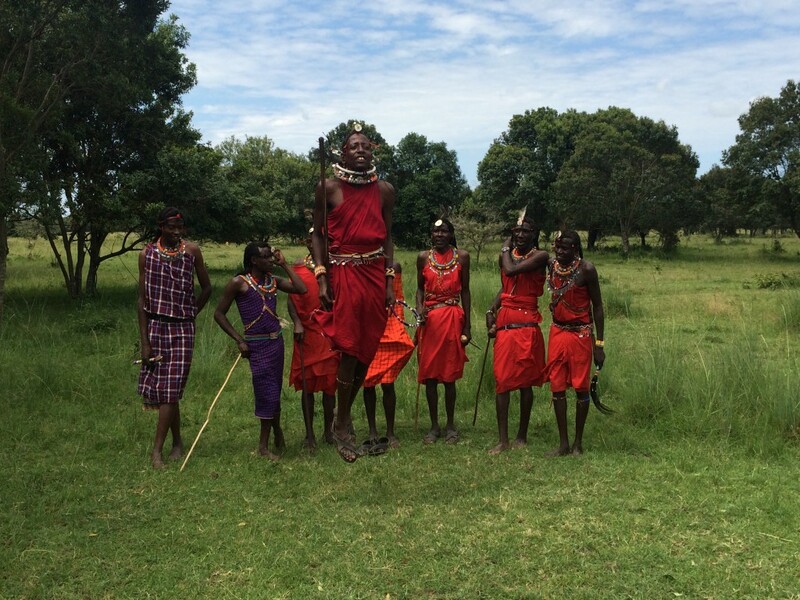 Every Masai Mara safari maker has an interesting story to tell. 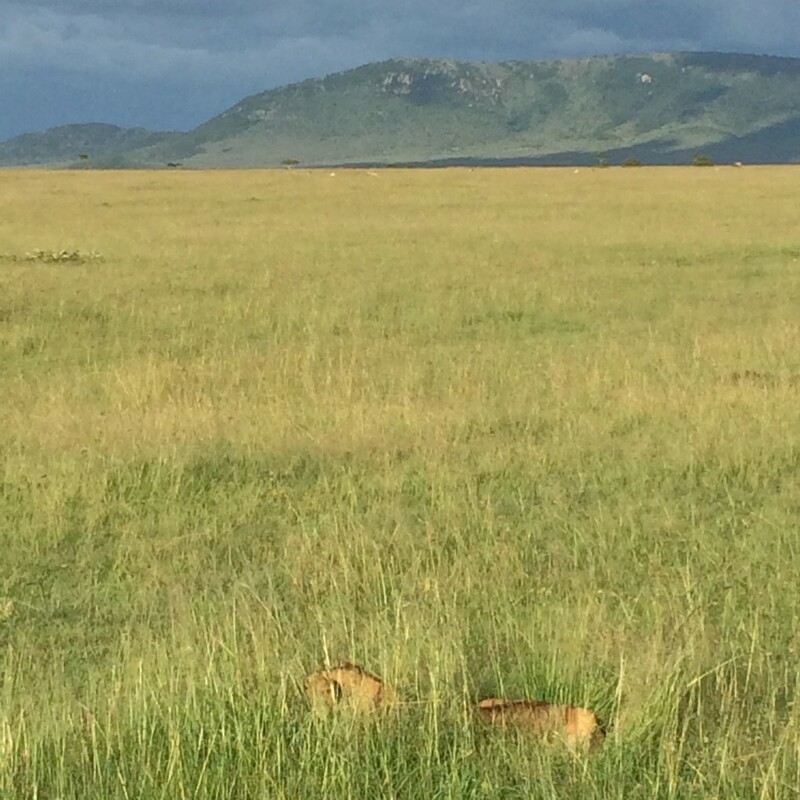 Your safari to Mara wonderful, thanks for your great review.